Need help with your house? I have a small cleaning business and would love to help! I offer customized home cleaning based on your personal needs. I use pet and child friendly cleaning products and have multiple references from happy customers. 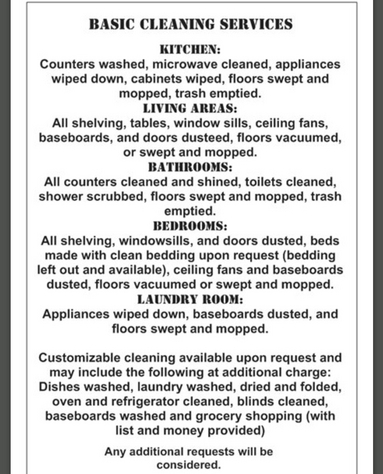 Affordable weekly, bi-weekly or monthly cleaning. Call or text Rebekah at (904) 415- 0364 for a free estimate.